We are currently in the middle of a kitchen renovation, so I have been busy scouring the internet for inspiration to help me get through the not-so-fun stage of living in a constant mess. If you have been through a similar renovation, you know exactly what I mean. I have to continually remind myself to keep my eye on the prize… in the end I know the outcome will be worth the wait! 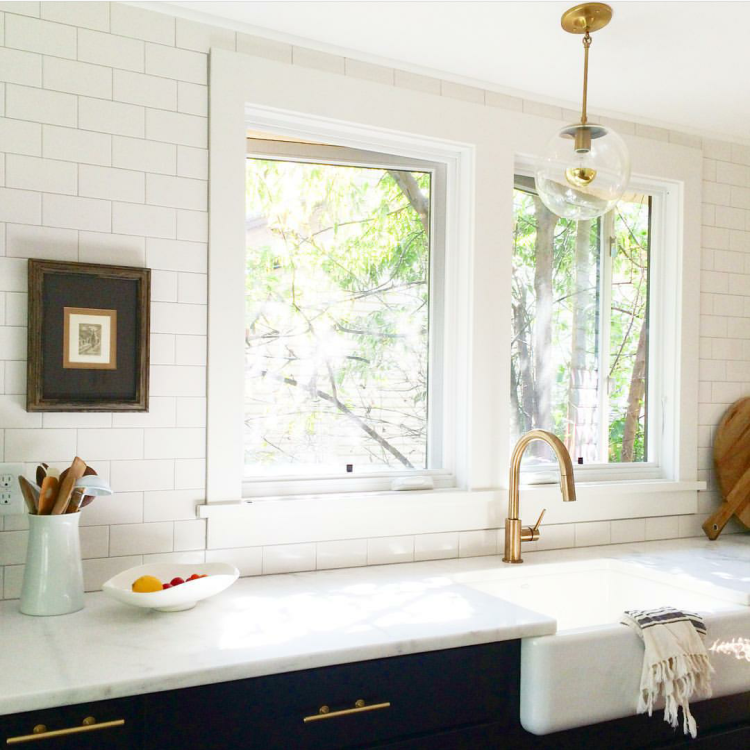 In the meantime, I thought it would be fun to share some of my inspiration- a roundup of the best brass kitchen cabinetry hardware I’ve found online. First up, bar pulls! I’m attracted to simple, sleek pulls like the ones below. They look especially amazing against the dark cabinetry for a high contrast aesthetic. I’m really loving the oversized industrial pull… it’s unexpected and different from what we typically see floating around the internet. It’s an updated look that feels sophisticated and substantial, yet feminine. Next up, bin pulls… or cup pulls. The shape of this hardware gets me every time- they’re so much fun! Bin pulls add dimension and interest, without the pain of installation that comes with a recessed pull. I think the upcoming hardware trend to look for will be elongated pulls- super long and skinny (like the first image in this post). Speaking of shape and depth, I think it’s very important to mix cabinetry hardware depending on the function. Take Sarah’s kitchen for example… the knobs are super functional on the doors below, while the bin pull is perfect for the small drawer. Some doors or drawers require two pieces of hardware, while others require only one. Mixing is a good thing! Just be sure to maintain consistent spacing, placement, finish, and scale. Last but not least, my favorite brass knobs… there are so many options it can be a little daunting. The trick is to take into consideration your cabinetry door style. Sarah’s shaker style cabinetry above looks great with simplistic hardware, while the detailed doors below are complimented by intricate, faceted knobs with brass backplates. Which type of hardware do you prefer? Any standouts from the roundup? I’m partial to number eight in the brass knob collage above. It’s a great new take on the leather pulls that have become so popular. I love the idea of mixing brass and leather… this hardware looks very balanced and elegant! Choosing Hardware for Our Kitchen + A Giveaway! At first glance I thought my favorite bar pulls were number 5 and 6 but after much careful consideration, (I take online window shopping for things I don’t need, very serious!) I think the texture on the handle of number 5 might get dirty looking, I don’t know. I like number 6 but I am not sure I would like it for the kitchen, for me it would be better suited in a bathroom or furniture piece. I also like number 7 but it doesn’t come in a variety of sizes so that’s something to keep in mind if you will have some longer doors than others :-/ Ok now moving on to the bin pulls, I like 1, 2 and 4 and Sarah’s kitchen bin pulls are very nice too. Lastly for the knobs, my favs are 1, 3, 5, 6 and 8. 1 and 3 are my fav, fav though. Again Sarah’s knobs are very nice too, I would use those too. Well my job here is done, if you need my none expert, hardware loving opinion again please don’t hesitate to ask, ha! I love brass hardware! We are in the middle of a whole house renovation, but unfortunately we won’t be staying when it’s done :( we’ll be selling and moving, so I’m not going to waste beautiful hardware like that on this house. So, I had already decided that the new house we will be living in (it’s a rental from family, so I know what it looks like/am free to change things however I want) is DEFINITELY going to have brass hardware :) I’m still a sucker for bin pulls, but those cleaner lines are starting to grow on me too. I’m not sure which ones I will go with! Love this! It’s pretty hard to narrow down my favorites. I highly recommend checking out Colonial Bronze. Find a showroom nearby so you can check out all the options and to see all their finishes. They’re made in the USA and solid brass. LOVE THEM! What color is your hardware from the colonial bronze collection? Great photos! Can you tell me the color of the cabinet (greyish green ones)? Hi, Sarah! 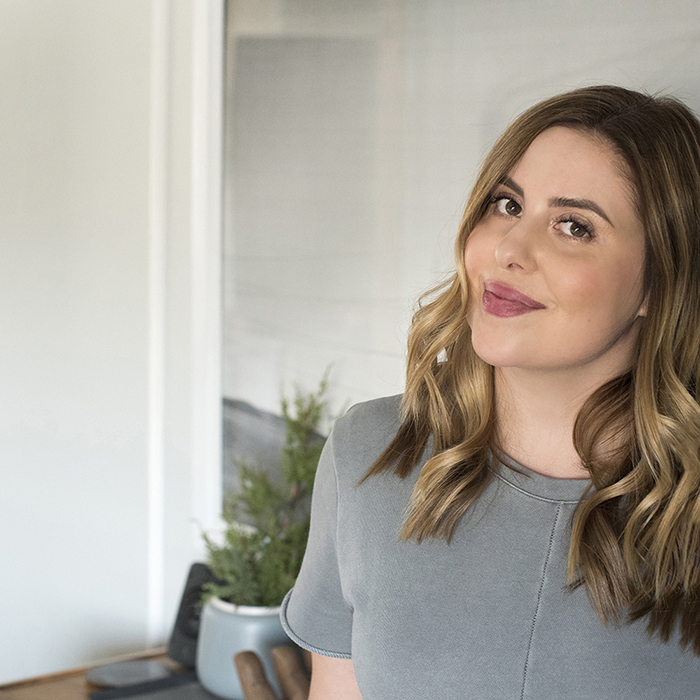 Great blog and your kitchen is gorgeous!! I am renovating my bathroom and chose Delta’s Trinsic line in champagne bronze for the shower head/handle, sink faucet and towel bars/toilet paper holder/robe hook. I want to find cabinet pulls for the white vanity that a) match in color with champagne bronze and b) match in shape/style to the Trinsic design. I want similar cabinet pulls to yours – something contemporary and preferably a round (or square) bar pull. I am having trouble finding a gold that matches the champagne bronze finish. And I am stuck on the fence about whether or not to do square or round considering Delta’s Trinsic round design. Do you have a recommendation? Which pulls did you use and do they match your Trinsic champagne bronze faucet well? –Contemporary/non-shabby chic shiplap walls covered in Chantilly Lace semi-gloss. –Standup shower with white subway tile walls/dark gray grout. –Noir honeycomb floor tile in main bathroom area and on the shower floor. –White shaker vanity covered in Chantilly lace gloss. –White (w/gray veins) quartz vanity top. –Dark gray (or may paint black) thinly framed round vanity mirror. –Contemporary gold/glass globe vanity light (actually similar to the one above your kitchen sink but mine is wall-mounted). –So it’s pretty clean and contemporary. The majority is white (walls, shower, ceiling, vanity, vanity top) but the floors are super dark. p.s. what navy (or black?) cabinet paint color did you use in your kitchen? It’s beautiful.